Co-reported by Tom Scheck of APM Reports and Scott Tong of Marketplace. WASHINGTON — Top officials of the U.S. Environmental Protection Agency last year made critical changes at the eleventh hour to a highly anticipated, five-year scientific study of hydraulic fracturing's effect on the nation's drinking water. The changes, later criticized by scientists for lacking evidence, played down the risk of pollution that can result from the well-drilling technique known as fracking. Documents obtained by APM Reports and Marketplace show that in the six weeks before the study's public release, officials inserted a key phrase into the executive summary that said researchers did not find evidence of "widespread systemic impacts" of fracking by the oil and gas industry on the nation's drinking water. The documents also show that the news release accompanying the scientific study was changed on June 3, 2015, the day before it was made public. A draft displayed a conclusion that the EPA had identified "potential vulnerabilities" to drinking water. But the final release dated June 4, concluded: "Assessment shows hydraulic fracturing activities have not led to widespread, systemic impacts to drinking water resources and identifies important vulnerabilities to drinking water resources." Successive drafts of an EPA news release show that the headline was softened from emphasizing how fracking might leave drinking water vulnerable to pollution to noting that scientists had not found widespread, systemic impacts. In the final release on June 4, 2015, mention of potential vulnerabilities was moved from the headline to the end of the subhead, and the phrase "widespread, systemic impacts" was added. In a conference call with reporters about the study on the day it was released, the EPA's deputy administrator, Tom Burke, highlighted the lack of "widespread, systemic impacts" as the agency's top finding. In fact, scientists had found evidence in some places that fracking activity had polluted drinking water supplies. In all, the agency identified more than two dozen instances in which hydraulic fracturing had an impact on water resources. The agency also identified hundreds of other spills, many of which reached soil and water. It's not clear precisely who inserted or ordered the new phrasing. But emails acquired via the Freedom of Information Act show EPA officials, including press officers, met with key advisers to President Obama to discuss marketing strategy a month before the study's release. The emails also show EPA public relations people exchanging a flurry of messages between 4 and 11 p.m. on the eve of the study's release. The authenticity of the documents — before and after the changes — was confirmed independently by three people with knowledge of the study. In interviews with 19 people familiar with the research, some characterized the "(no) widespread, systemic" language as a "bizarre conclusion" and "irresponsible." Others said they were "surprised and disappointed" that top EPA officials used the phrase and said they had no idea it would become the headline until it came out. View the four versions of the "Major Findings" section in the executive summary of the U.S. Environmental Protection Agency's study on hydraulic fracturing and drinking water. Highlighted phrases show how the language of the section increasingly placed more emphasis on the notion that no widespread, systemic impact had been found. The official version of the study was issued June 4, 2015. The revised summary was quickly embraced by the oil and gas industry, which for nearly a decade had been fighting off environmentalists' attacks and negative news coverage about fracking's alleged harm to the environment. Industry representatives cheered the findings, touting them as validation that fracking is safe. Media organizations big and small highlighted the conclusion in headlines and sound bites. In a 140-character information ecosystem, suddenly the industry had the benefit of government assurance that fracked wells did not pose a significant threat to water supplies. Those reports won the day, dominating the news cycle despite the EPA report noting that fracking activities, including chemical spills and faulty well construction, did have an impact on drinking water resources. It's not unusual for government agency reports to be edited and crafted in a way that provides positive context for a preferred policy. When research is mischaracterized by policy-makers, however, it raises concerns about the politicization of government science. "There's not really a wall between science and politics," said Dominic DiGiulio, a former EPA scientist. "In my opinion, that statement was put in there to ensure that there would not be blowback from the oil and gas industry." 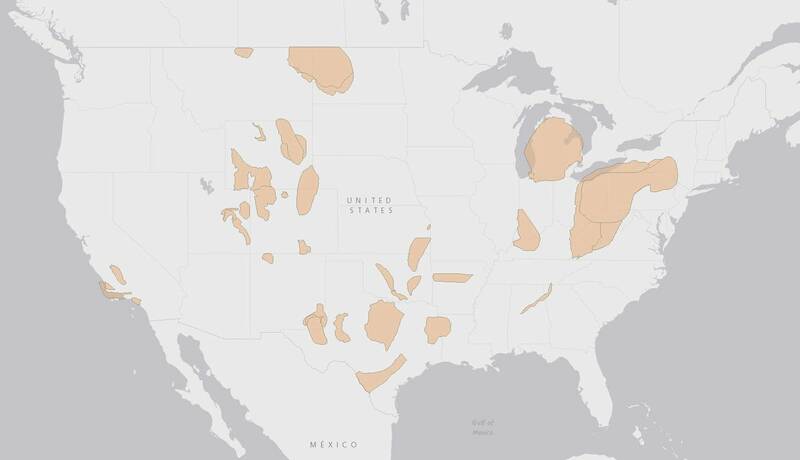 This map identifies geologic formations known as "tight oil/shale gas plays" in which hydraulic fracturing activities are being used to extract or explore for oil or natural gas. Source: U.S. Energy Information Administration. The oil and gas industry, along with Republican allies in Congress, has regularly criticized the EPA for investigations into fracking, arguing that state regulators have primary responsibility over the oil and gas sector. Even as it was conducting the broad study, in three instances the EPA withdrew abruptly from investigations into landowner complaints over water contamination related to fracking. Agency scientists are revising the study, a standard process with all EPA research that involves input from the public and the EPA's Science Advisory Board, a peer review group that provides scientific advice to the agency. EPA officials say they hope to release the final version of the $29 million study by the end of the year. Burke and his boss, EPA Administrator Gina McCarthy, declined requests for interviews. Asked about the late changes in the news release, Tom Reynolds, who ran the agency's communications office when the study was released, declined to comment. The revelations come as Republican President-elect Donald Trump is set to take office on a pledge to abolish the EPA and eliminate regulations on oil and gas activities to boost energy exploration. It might be difficult for Trump to eliminate the agency, but even slight reductions could have a major effect on an agency that already has been hit by budget cuts. Between 2010 and 2016, the EPA's budget was reduced $2.1 billion, or 20 percent. There are also 1,902 fewer EPA employees than in 2010. The oil and gas industry has used hydraulic fracturing for decades. The process sends a mix of water, chemicals and sand into the subsurface at high pressure. In the past 20 years, its use has dramatically increased as technology has combined with horizontal drilling techniques to produce vast amounts of affordable fossil energy from shale rock formations. 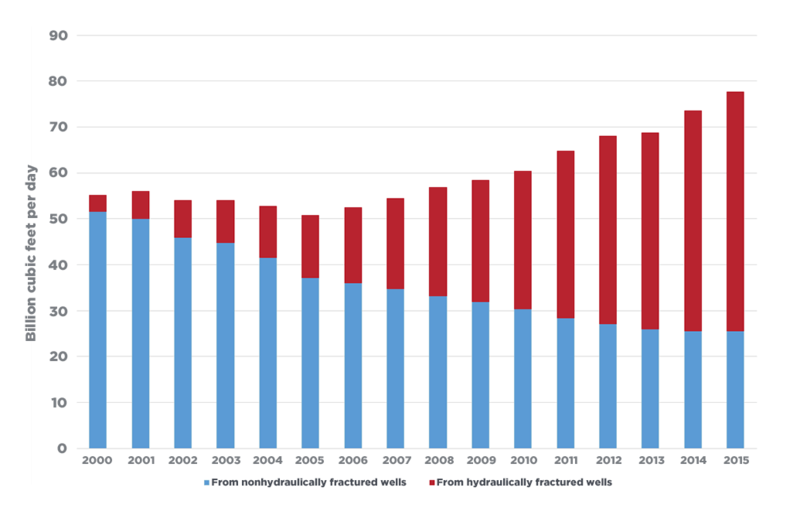 The number of hydraulically fractured wells drilled nationwide has jumped from 24,000 in 2000 to 300,000 in 2015, according to the U.S. Energy Information Administration. 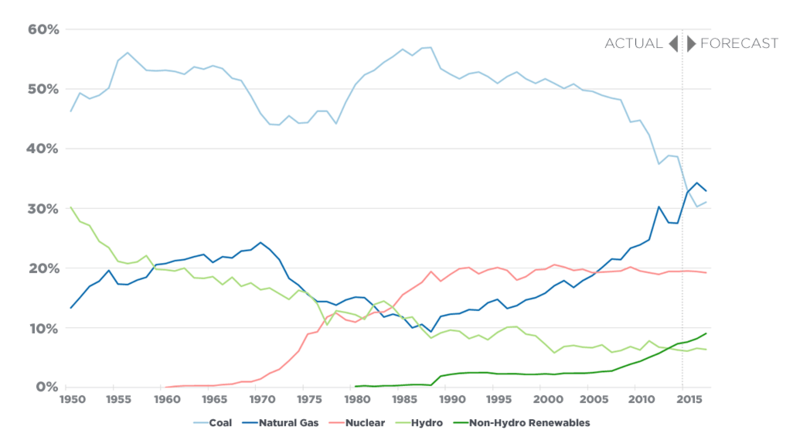 Natural gas, thought to produce fewer greenhouse-gas emissions than coal, has been replacing coal steadily for U.S. electricity generation for more than a decade. Source: U.S. Energy Information Administration. As natural gas production has grown over that decade, the portion coming from fracked wells has grown to two-thirds. Source: U.S. Energy Information Administration. Fracking has been the linchpin in the nation's energy economy for the past decade. It has unearthed huge amounts of oil and gas, reducing the nation's dependence on coal for electricity generation and its reliance on foreign oil. The government reported in May that hydraulically fractured wells provided two-thirds of U.S. natural gas production in 2015 — nearly 10 times the amount produced in 2000. Natural gas is also seen by many, including the Obama administration, as a cleaner-than-coal bridge to a time when most electricity will come from renewable sources. In the spring of 2015, Environmental Protection Agency officials wrestled with the language of the executive summary and news release providing the conclusions drawn in a draft of a multiyear study on fracking and the nation's drinking water. Last-minute changes had the effect of softening the impact of the findings. April 24: Executive summary circulated A draft of the study's executive summary is completed for internal circulation. The phrase about no "widespread, systemic impacts" does not appear. The draft states: "Evidence from multiple sources indicates that hydraulic fracturing activities have contaminated drinking water resources in a variety of documented cases ... Despite these risks, the number of documented impacts is quite low." May 4: White House briefed EPA scientists brief officials in the executive office of the president, along with Interior and Energy department officials. An agency official in an internal email wrote: "The nature of the questions asked mostly focused around being clear on messaging." May 12: Changes made to executive summary Revised version includes major finding: "We did not find evidence of widespread, systemic impacts. The number of identified cases was small compared to the number of hydraulically fractured wells. This could reflect the rarity of effects on drinking water resources, but may also be due to other limiting factors." May 20: Executive summary revised again The language is altered slightly to "EPA did not find evidence that these mechanisms have led to widespread, systemic impacts on drinking water resources in the United States." Deleted is the phrase "a low rate of documented impacts does not minimize the effect experienced by citizens whose drinking water resources have been impacted." June (date unknown): News release shared internally Draft news release carries this conclusion in its headline: "EPA Study Shows Potential Vulnerabilities to Drinking Water from Hydraulic Fracturing Process." 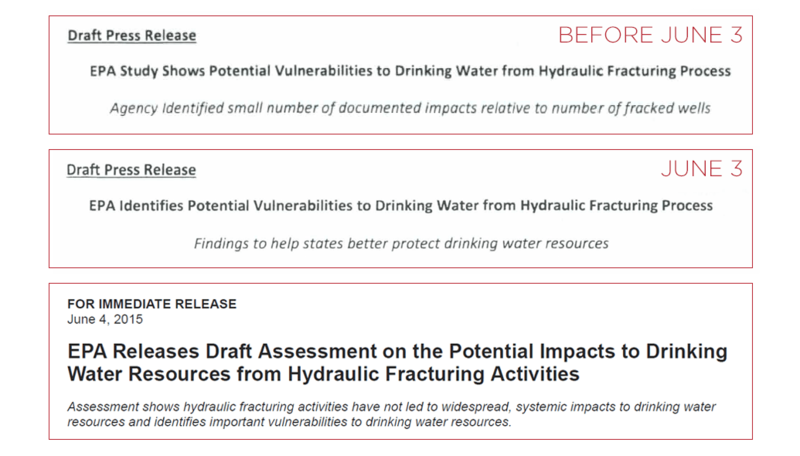 June 3: News release changed The draft news release headline now reads: "EPA Identifies Potential Vulnerabilities to Drinking Water from Hydraulic Fracturing Process." June 4: Study released The draft study is published, and the accompanying news release carries this headline: "EPA Releases Draft Assessment on the Potential Impacts to Drinking Water Resources from Hydraulic Fracturing Activities." A subheading now mentions "Assessment shows hydraulic fracturing activities have not led to widespread, systemic impacts to drinking water resources and identifies important vulnerabilities to drinking water resources." The executive summary says: "EPA's assessment concludes that there are above and below ground mechanisms by which hydraulic fracturing activities have the potential to impact drinking water resources ... EPA did not find evidence that these mechanisms have led to widespread, systemic impacts on drinking water resources in the United States." In addition to making the U.S. less dependent on foreign sources of oil and natural gas, fracking has delivered an economic boost to many parts of the country. But like many industries relying on natural resources, the prospect of jobs has collided with environmentalists and residents worried about clean air and clean water. Landowners in many states, including Texas, Colorado, Pennsylvania, Alabama and Wyoming, have complained that their drinking water was contaminated after fracking activity occurred near them. Concerned about the complaints and potential impacts, Congress in 2009 urged the EPA to study fracking's impact on drinking water. Supporters of the congressional action cited a 2004 EPA study that said fracking was safe; they claimed the study politicized the science and played down negative findings. So EPA scientists spent years evaluating scientific reports from academics, industry, non-governmental organizations and government agencies. 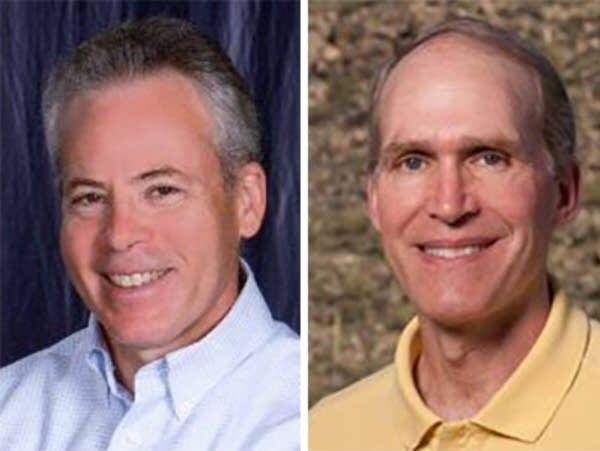 They took their own water samples, conducted laboratory analysis, did computer modeling of potential contamination, interviewed residents reporting water quality changes and negotiated with oil and gas companies to acquire proprietary well drilling data. The study was highly anticipated and in the months before its release in June 2015, a draft assessment was shared with top policymaking and public information officials, according to internal emails. Meetings involved White House advisers Candace Vahlsing and Dan Utech and officials from the Energy and Interior departments. Vahlsing and Utech declined to comment, a White House spokesman said. White House Assistant Press Secretary Frank Benenati also was involved in the study's "messaging," according to the emails. Benenati, now the EPA's director of communications, didn't respond to specific questions about his involvement with the study. A former EPA official involved in the study defended the controversial line about no "widespread systemic impacts," saying the lack of a definitive conclusion required the agency to give a nuanced view of fracking. "In this area, there's incomplete information," said Ken Kopocis, who was the deputy assistant administrator for water at the EPA. "And so scientists will introduce some element of judgment in drawing their conclusions." Kopocis also said it's common for the White House to be involved in meetings discussing major scientific reports because it's necessary to inform other agencies involved in oil and gas issues. The EPA report did note a number of instances in which fracking activity, including poorly designed well construction, chemical spills, well blowouts and direct drilling into formations containing water, had a "documented impact" on drinking water. The findings included a 2010 chemical spill in Kentucky that killed threatened fish, a well blowout in North Dakota that resulted in chemicals potentially reaching a nearby aquifer and direct drilling into drinking water resources in Wyoming. The report concluded that 9.4 million people lived within a mile of a hydraulically fractured well between 2000 and 2013. The agency also reported 457 spills related to fracking in 11 states between 2006 and 2012. In 324 of those cases, the EPA said spills reached soil, surface water or ground water. A spreadsheet of those spills was included in the study. On the day of the release, when asked to quantify the risks of fracking, Burke demurred. "The study was not, nor was it intended to be, a numerical catalog of all episodes of contamination," he said. The examples of documented contamination were overshadowed by the last-minute changes that shifted the tenor of the report. Some experts in hydraulic fracturing say the late edit exonerated the practice in the public eye. "It's not Watergate, but it completely alters the take-home message of the report," said Rob Jackson, a researcher at Stanford University, who believes hydraulic fracturing can be done safely. He worries that the EPA's decision to minimize the vulnerabilities has reduced the urgency for government regulators and oil and gas companies to push to make the process safer. "It's still making a big, big difference because it supports the narrative that there aren't problems," Jackson said. DiGiulio, after leaving his job as an EPA scientist, joined Jackson in a research project at Stanford that found fracking had a "clear impact" on drinking water in Pavillion, Wy. The agency had earlier abandoned its research into problems at Pavillion and turned the investigation over to the state. It was one of the three instances in which the EPA withdrew from investigating suspected contamination incidents in the past four years. The others were in Dimock, Pa., and Parker County, Texas. The agency did not include water testing data from those cases in its national study on drinking water. The EPA's Science Advisory Board, however, suggested the agency "should include and critically analyze" findings from those three locations. The advisory board also rebuked the EPA's conclusion of no "widespread systemic impacts." Calling the phrase "ambiguous" and inconsistent with the observational data, the advisory board directed the EPA to show the underlying data to back up its claim of no "widespread, systemic impacts". "We suggested that they provide a definition of 'systemic,' a definition of 'widespread' and then provide quantitative data to support the conclusion," said Peter Thorne, a University of Iowa environmental scientist who chairs the Science Advisory Board. "That is all a way of asking them to put that kind of scientific rigor behind a statement as broad as that." McCarthy, the head of the EPA, said at the National Press Club last week that the agency will soon release the final study. She also said her agency is balancing the requests of the 30-member Science Advisory Board with the study's limitations. During her remarks, McCarthy noted that the four board members with oil and gas ties dissented from the criticism of the phrase. "This was one science advisory board that was as fractured as the subject matter," McCarthy said. "While I can't tell you the direction it is going to take, we are going to listen to all sides in terms of what the members thought, and we'll come to the best decision that we can." The EPA has the authority to manage drinking water impacts to water resources and to oversee drinking water impacts through several federal laws, including the Clean Water Act and the Safe Water Drinking Act. But states largely oversee oil and gas development. The industry, heavily invested in continuing the practice, has steadily battled the EPA. The companies and their industry groups have also repeatedly said there have been no confirmed cases of groundwater contamination from hydraulic fracturing. That's why the outcome of the EPA study was important. If the study had emphasized major problems with the practice, it could have meant increased oversight by state regulators, a call for banning fracking in certain communities and even calls for additional federal oversight. Instead, the draft study took pressure off the industry. "When the federal Environmental Protection Agency says that technology causes no widespread, systemic risk, that's a big deal," said Kevin Book, head of the research team at ClearView Energy Partners, which advises oil and gas investors. "That reinforces the sense that there's nothing to see here, folks. Move on." The documents obtained by APM Reports and Marketplace show that on April 24, 2015, an executive summary was circulated that said "hydraulic fracturing activities have contaminated drinking water resources in a variety of documented cases. Despite these risks, the number of documented impacts is quite low." Nowhere did the draft state that there was no widespread, systemic impact on water. 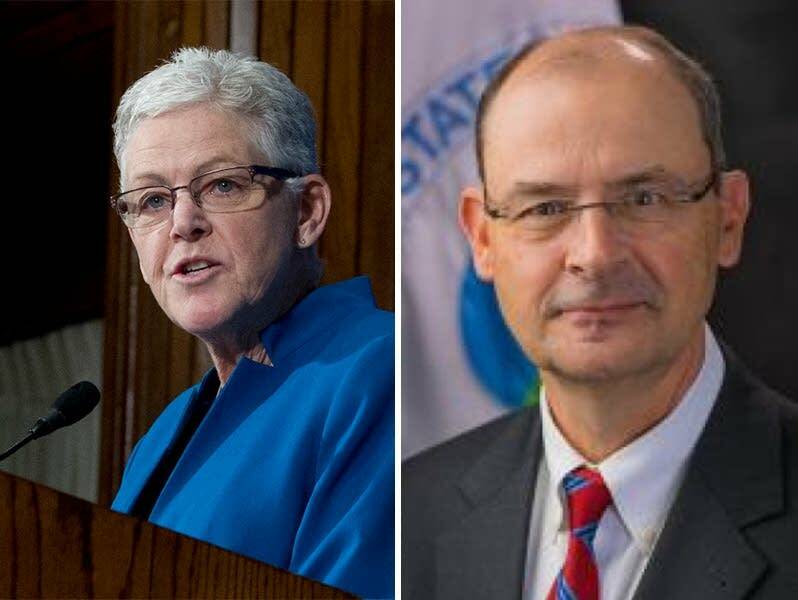 On May 4, EPA officials met with key advisers to Obama, officials from the U.S. Department of the Interior and the Department of Energy to make sure they were "clear on messaging," according to public documents. By May 12, the executive summary had changed to include the phrase: "We did not find evidence of widespread, systemic impacts." And on May 20, another change deleted a sentence that said "a low rate of documented impacts does not minimize the effects experienced by citizens whose drinking water resources have been impacted." The agency's news release also was altered in the days before the draft study was released. A version circulated internally in early June featured a headline emphasizing vulnerabilities to drinking water. But the news release issued publicly on June 4 featured a less forceful headline and a smaller, second headline saying that fracking had not "led to widespread, systemic impacts" and that the study "identifies important vulnerabilities to drinking water resources." Within a day, the Marcellus Shale Coalition from Pennsylvania put together a collection of TV news reports, all emphasizing the lack of impact and largely ignoring the vulnerabilities. The industry group Marcellus Shale Coalition put together this collection of broadcast and press reports that highlighted U.S. Environmental Protection Agency findings that hydraulic fracturing was found to have no widespread systemic impact on the nation's drinking water. The reports buttressed the industry's contention that fracking is safe and should be subject to fewer government regulations. Today the oil and gas industry continues to use the study to advance drilling around the world. The Maryland Petroleum Council is highlighting the research as it pushes to allow fracking in that state. And earlier this month, the American Petroleum Institute, a lobbying group, urged the EPA to keep the language in the study. It said the report could affect New York's statewide ban on fracking and influence whether other countries adopt the practice. The American Petroleum Institute released its own industry-backed study confirming that hydraulic fracturing has led to no widespread, systemic impact to drinking water. 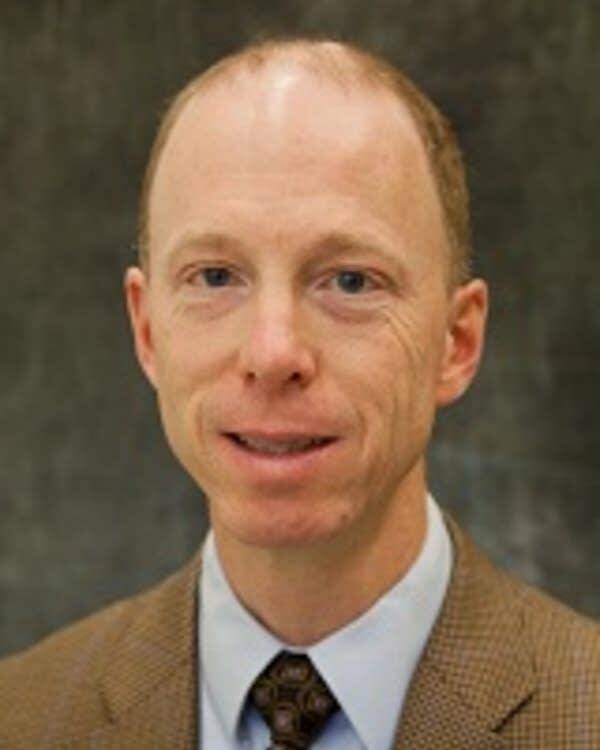 "It has plenty of supporting evidence for its conclusion, yet hydraulic fracturing and its peer-reviewed studies continue to face misinformed attacks on scientific conclusions that support the value and safety of the process," said Erik Milito, director of upstream and industry operations at the American Petroleum Institute. Milito also said he believes the EPA's Science Advisory Board raised questions about the report because it was swayed by the testimony of landowners who were complaining about their drinking water. In addition to requesting supporting evidence, several members of the board characterized the phrase as a "value statement," not a scientific one. Board member Thomas Young, a professor in the Department of Civil and Environmental Engineering at the University of California-Davis, said he believes the phrase is misleading because the federal agency may not have found a widespread impact, but impacts could still be occurring. "When you say that there's no impact, people leap to the conclusion that there is no way in which this material is making it to water resources," he said. "And I do not think that has been proven." Young said he was unaware that the EPA had made last-minute changes to the study or the news release. He said he would have chosen different wording but understood the push to put a conclusion on a multiyear study that cost millions. Congress, the oil and gas industry and environmental groups would not have settled for a report simply calling for additional research, Young said. "Most people don't really want to spend millions of tax dollars on a study that comes up with the answer of 'more study is needed.'" The study ran into a number of difficulties when it began five years ago. The EPA, for example, tried to work with oil and gas companies to conduct testing on sites before, during and after a fractured well is drilled. Called "baseline testing," it would have allowed scientists to see whether the process resulted in any contamination of groundwater. Despite pledges of cooperation from the industry, the EPA could never reach agreement with any company to conduct the tests. "Initially, industry was very supportive of working together with the EPA to do some field studies," said Robert Puls, a scientist who oversaw the study in 2010 and 2011. "As the details for doing those studies got closer and closer to actual implementation, their resistance seemed to grow." Puls said he left his position at the EPA in 2011 partly because he was frustrated with resistance by oil and gas companies to work with the EPA on the study. The Science Advisory Board isn't the only group questioning how EPA officials could make the general claim that fracking caused no "widespread, systemic impacts" without scientific basis. Many landowners who believe their water was harmed by hydraulic fracturing say the EPA let them down by minimizing the impact. 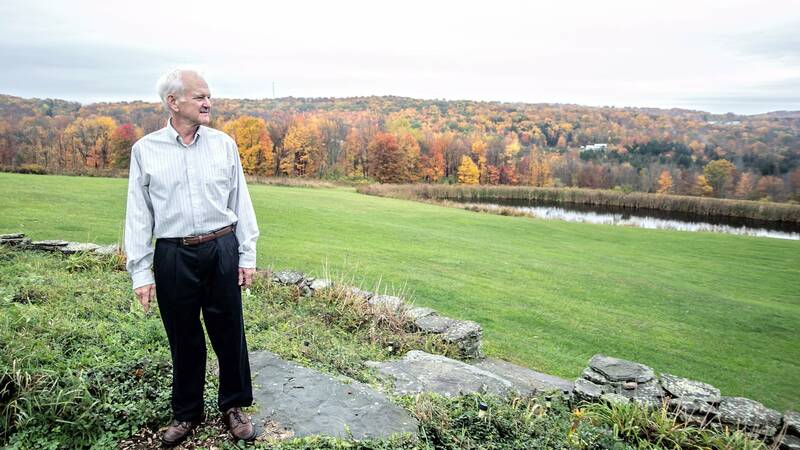 "They're supposed to protect my water," said Bill Ely, who owns land in Dimock, Pa., and settled a lawsuit with Cabot Oil and Gas over tainted water. "I pay them to protect my water. They didn't protect my water or these people in this area here." A spokesman for Cabot did not return messages. Company officials have said that any problems with the water in Dimock occurred long before the company drilled in the area. Ely is one of several dozen landowners in Dimock who noticed water was changing color once drilling started in their community in 2009. The complaints from landowners placed Dimock at the center of the fight over the environmental safety of fracking. Movie stars and environmentalists visited the small, northeastern Pennsylvania town and called for the practice to be banned. Industry groups countered with analysis that the practice is safe and brings money and jobs to an economically depressed area. Since the first incident occurred in 2009, state and federal regulators became heavily involved in Dimock. In 2010, Pennsylvania regulators announced a settlement with Cabot Oil and Gas that required the company to pay $4.1 million to residents for drilling violations. Regulators said Cabot's drilling practices allowed combustible methane to contaminate drinking water. And this year two families also won a $4.2 million court case against the company for negligence and creating a nuisance. More than a dozen other families settled with the company for an undisclosed sum. Cabot has not disclosed terms of its settlement with landowners. Attorneys for Cabot said in court that the methane leaking from the wells was occurring naturally and was a problem before the company drilled in the area. 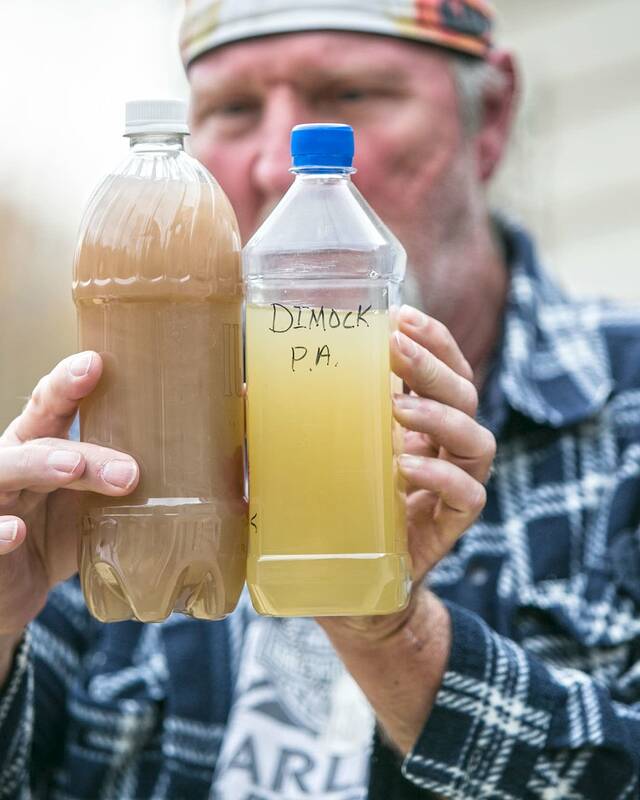 In 2012, the EPA conducted a study of private water wells of 64 homes in Dimock. The agency eventually determined "that there are not levels of contaminants present that would require action by the agency." But another federal agency, the Agency for Toxic Substances and Disease Registry, looked at the same data and concluded in June 2016 that chemicals in the water wells in 27 of the 64 homes were high enough to affect human health. Some landowners are still pushing for the government to do more. Every few weeks, Ray Kemble, who said he has one of those 27 homes, has to fill two 325-gallon tanks with water. 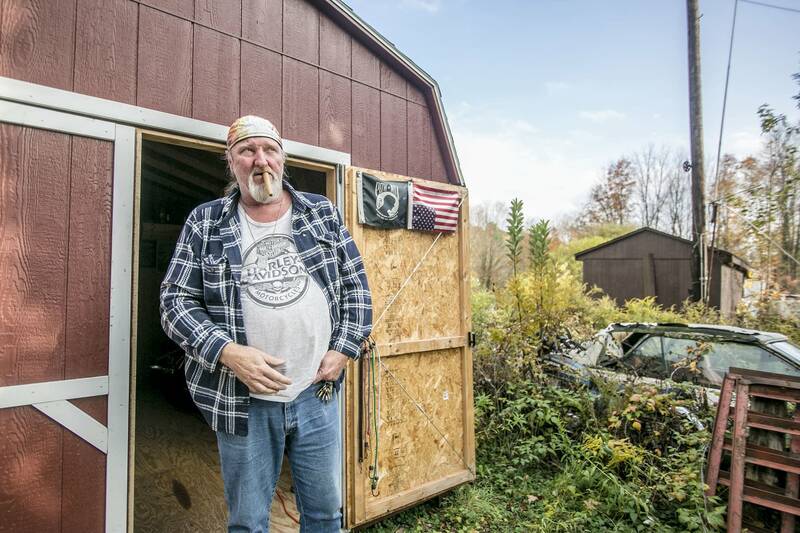 The tanks, which sit in a shed outside his home, ensure he has clean water. His property, which sits across the street from a well pad, is covered with anti-fracking signs. Kemble has been questioning the EPA's conclusion of no widespread, systemic impact, including publicly testifying before the Science Advisory Board. He said he's disappointed that regulators, including the EPA, didn't do more for him. "Why do we have to fight the government when the government was supposed to be protecting us?" he said. "Those agencies were put there to protect the people from stuff like this from happening." Though some landowners in the Dimock area are unhappy with fracking in the community, it has provided an economic boost. Cabot has a major presence in the community and says it has invested $1.5 billion in Dimock and surrounding areas in Susquehanna County. Cabot trucks can be seen regularly throughout the rural community and the company has a new corporate office in nearby Montrose. Cabot is among many companies to tap into the energy rich Marcellus Shale Formation that lies under parts of New York, Pennsylvania, West Virginia and Ohio. Landowners are paid monthly, and drilling has increased employment in rural parts of the country. Jobs in the oil and gas extraction sector grew nationally by 33,600 between 2006 and 2016, government figures show. 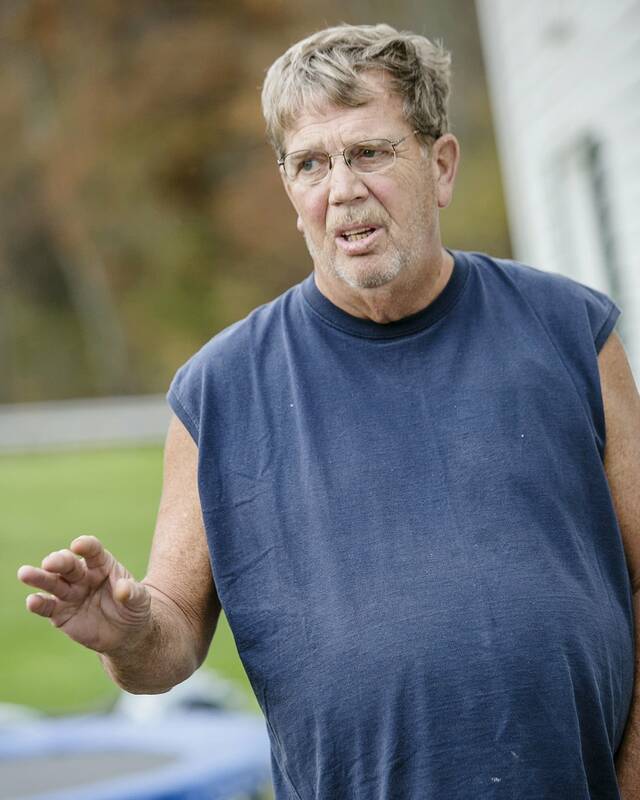 Bill Aileo, a homeowner in Dimock, said the natural gas boom has helped the community. He wouldn't say how much he's being paid for his mineral rights but said a majority of landowners are happy with the natural gas activity in the area. "We've had a shot in the arm," he said. "It's probably the best thing that's happened to this community in 50 years." Obama's embrace of fracking has forced him to walk a fine line. He acknowledges that the fracking process, along with transporting and storing oil and gas, could release methane, a greenhouse gas that contributes to climate change. The outgoing administration this month issued rules to prevent methane leaks on federal lands. But Obama has said that gradually transitioning from coal to natural gas has reduced U.S. greenhouse gas emissions. "We're going to have to straddle between the world as it is and the world as we want it to be and build that bridge," he said in October. The specifics of Trump's approach are unknown. Last Monday, Trump issued a video statement saying that energy issues, including fracking, will be a top priority when he takes office. "I will cancel job-killing restrictions on the production of American energy, including shale energy and clean coal — creating many millions of high-paying jobs. That's what we want. That's what we've been waiting for," he said. Trump has appointed Myron Ebell, a climate change skeptic, to lead the transition at the EPA. The president-elect also has pledged to further deregulate the oil and gas industry, but his position on fracking has been contradictory. In September, he vowed to expand natural gas production from fracking and coal production, two competing energy resources. In August, Trump told a Colorado TV station that he was willing to let voters have a say on fracking bans, but in April he criticized New York state's ban on the practice. The disagreement over the environmental impact of fracking will continue in the Trump administration. In addition to finishing the study on hydraulic fracturing's impact on drinking water, the EPA will continue to pay for research on fracking. In September, it announced a $2 million study that will examine how oil and gas development is affecting water quality and its impact on human health. The study is focused on an area that includes Pennsylvania, West Virginia and Ohio. Some scientists, landowners and environmental advocates believe that the EPA lacks credibility to research fracking's impact on drinking water. They have grown suspicious about how the EPA handles fracking issues. 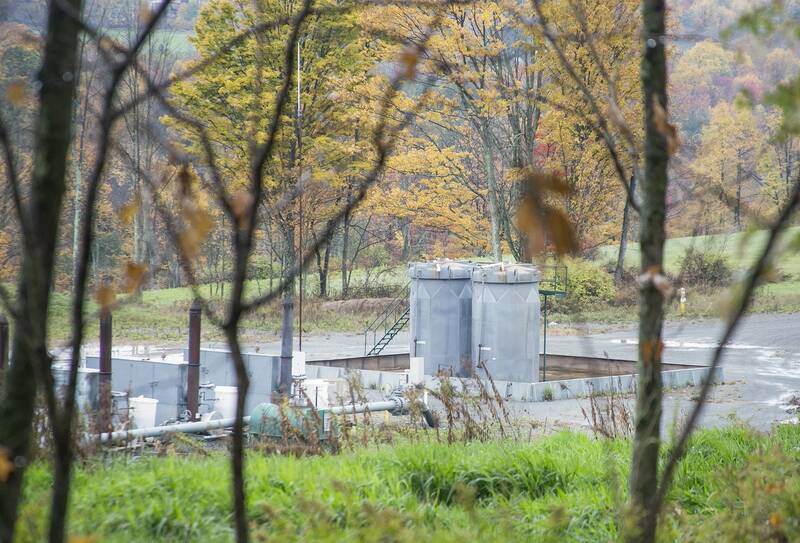 "They don't know who to trust," said Raina Rippel, who directs the Southwestern Pennsylvania Environmental Health Project, which tracks health impacts on people in high-fracking areas. "They don't necessarily feel that the state regulatory agencies or the federal regulatory agencies are listening. They feel so severely betrayed right now."